If you want to discover Mallorcan wines, a visit to the Fira del Vi, held in the Cloisters of Santo Domingo in Pollensa, is a must. This annual spring event usually takes place two weeks after Easter, and brings together around half of the island’s 70-or-so bodegas, whose wines are available for tasting by the fair’s visitors – who include wine professionals as well as those who just love drinking the stuff. 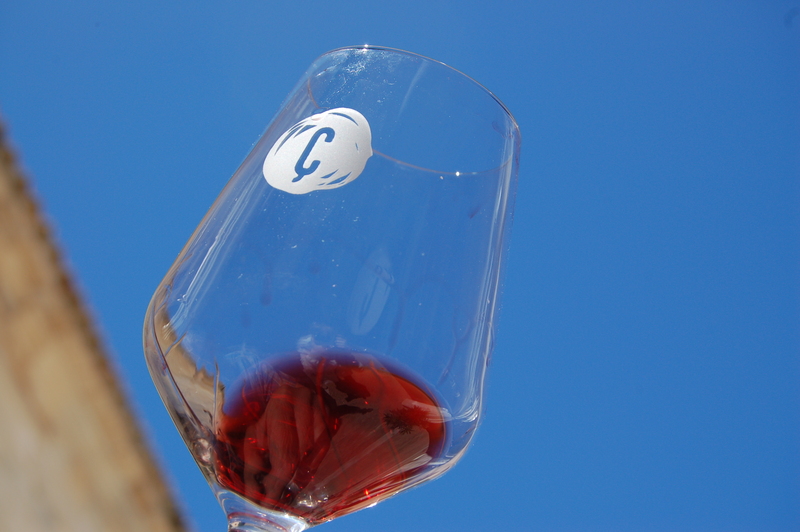 Fine wine and fine weather – what more could we ask? The Fira del Vi was first held in 2004. We’ve been every year since 2005, always discovering new wines to add to our favourites. This year’s Fira was the weekend of May 3rd/4th. We paid 10 euros each to enter, and could taste as many of the wines as we wanted (using the tasting glass included in the price). 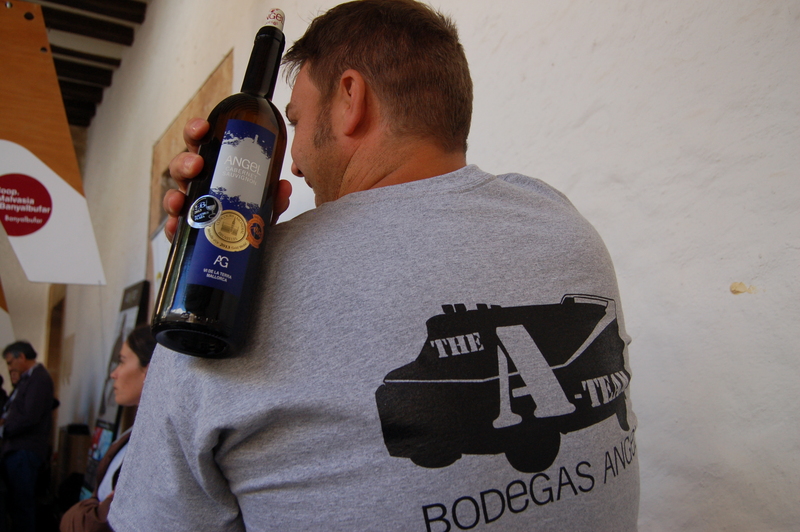 This year’s fair attracted 34 bodegas, with some 185 wines available for tasting. Needless to say, we did not taste them all! It’s a wonderfully sociable event where you’re likely to find yourself chatting to a stranger about a particular wine or bodega, or bumping into friends. Everyone has a love of wine in common. Over the years we’ve got to know quite a few of the people who run the wineries and it’s always good to catch up with their latest news and activities. At a previous Fira we discovered Can Vidalet’s Onze – the first gin to be made on Mallorca. We bought a bottle then and it’s been my favourite gin since then. 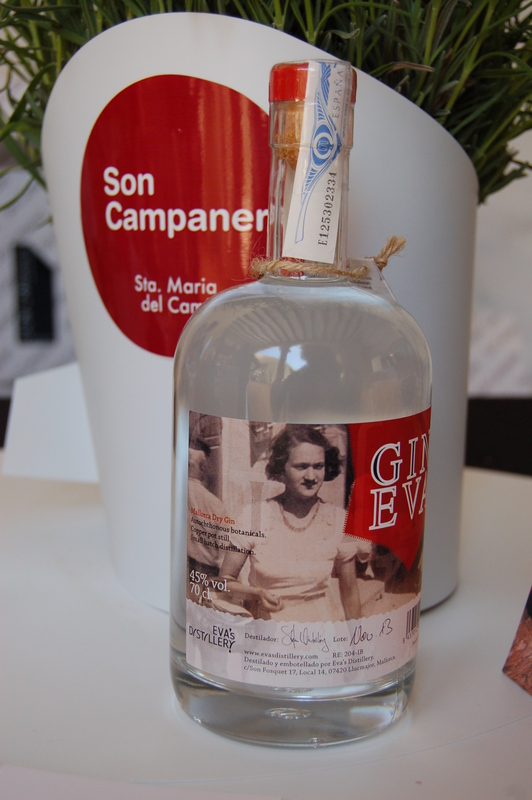 But there’s a new kid on the block: this year, we bought a bottle of Gin Eva (great name) – a new gin produced at a distillery in Llucmajor – made by the two winemakers from Son Campaner, http://www.soncampaner.es, a relatively new German-owned bodega in Binissalem. It’s an artisan London Dry Gin made on Mallorca, with juniper berries from the Es Trenc dunes and more than 20 different botanicals. We haven’t tried it yet, but look forward to doing so, after our livers have had their usual few days to recover after the wine fair! 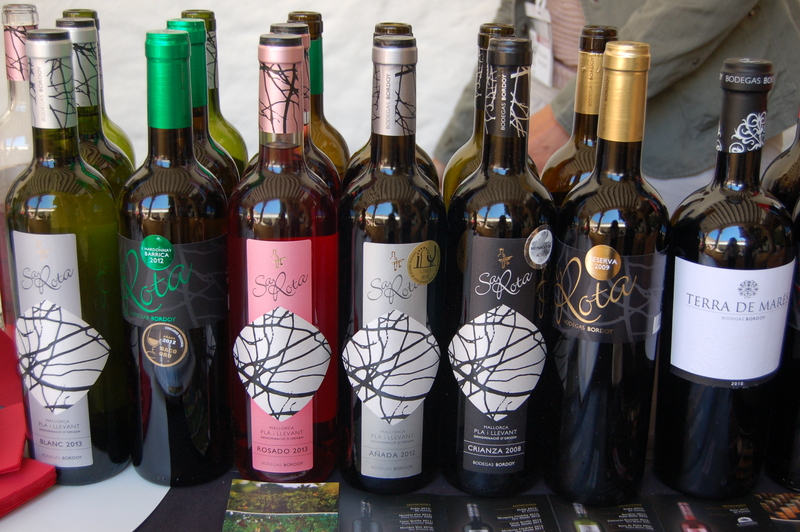 Once again, the well-organized Fira del Vi was an opportunity to discover more about Mallorca’s fantastic wines. Our fuller-than-usual wine rack is proof of that . . .
Hello, surfing on net I found your interesting post . Mallorca was a discovery for me with the subject of wine , more than 52 wineries !! !